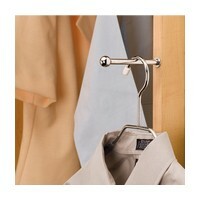 Perfect for hanging one or several items, the CVRI is the ideal addition to any closet; features include the ability to open or close the 3 - 1/3" rod with a single finger, three beautiful finishes Chrome, Satin and Oil Rubbed bronze and a removable pull hardware so you can customize the CVRI to match your closets existing hardware. 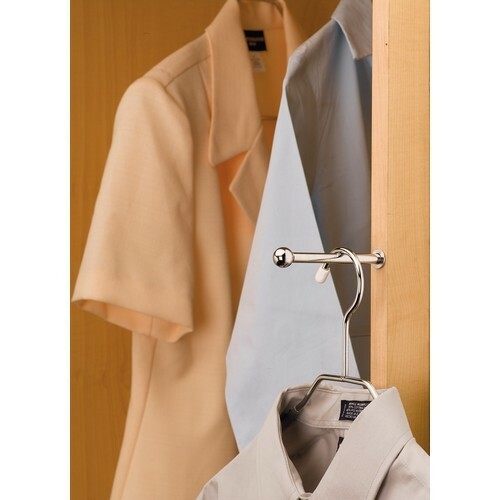 The 7" Insert valet rod is uniquely designed to fit within 3/4" and larger closet panels. When installed with the optional installation drill guide, you are guaranteed a perfect fit and incomparable stability. - Overall length of the entire rod is 7-3/8", including the round ball. - Usable extended portion of the rod is only 3-3/4"